Learn how to brighten a client's look and frame the face with this tinting and brow shaping course. This beauty course is not brand specific which means you have the freedom to choose which brand you want to work with! On this half day course you will learn to provide a full tinting experience for your client. 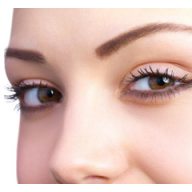 This course covers tinting the eyelashes and tinting the eyebrows, you will also learn about eyebrow shapes and how to tidy and shape eyebrows using tweezers. This course is FULLY ACCREDITED which means you will receive a certificate on completion enabling you to work professionally. Students work on each other, please be prepared to give and receive a treatment. Students will work on eachother. 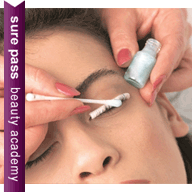 It is important that students visit us for a patch test at least 48 hours before attending this course. 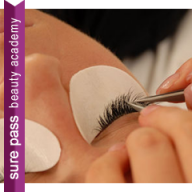 SurePass offer a FREE patch testing service in the Academy, which takes around 5 minutes to complete and will ensure you are safe to use the products on the day. 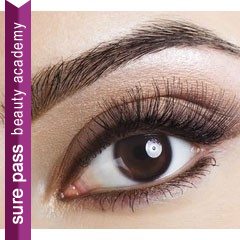 Please call on 01603 360107 or email info@surepassbeauty.co.uk upon booking to arrange your patch test with us. Really enjoyed the course Kirsty made me feel confident and answerd all my questions. Love doing these courses, always booking on more. Enjoyed my training and hands on, was very informative.